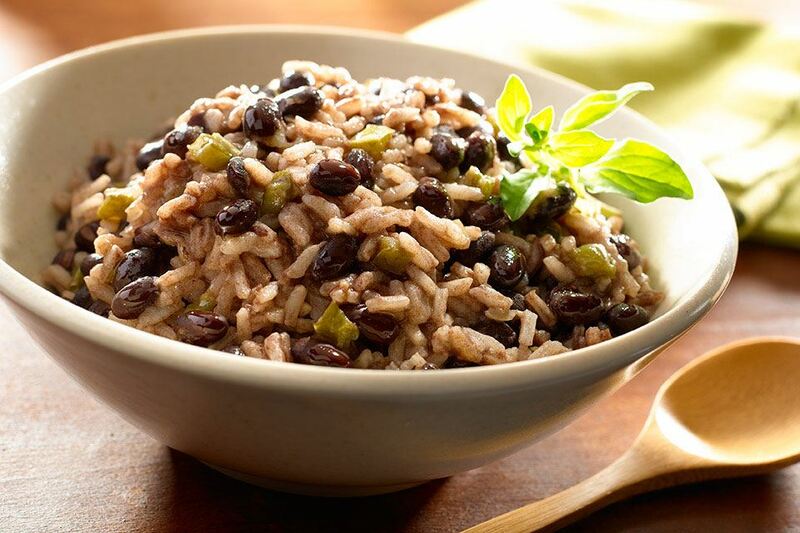 Mostly composed of meat, rice and black beans, Cuban dishes are often described as rustic and may look a little repetitive. Rationing and embargo have, it is true, very much limited its creativity… Yet the simplest recipes reveal the rich cultural heritage of the island: taïno, Spanish, African. Trab a fork and dig in! So popular it has been named national dish of the island. The dish is said to date back to Spanish medieval times: Sephardic Jews used to prepare this beef stew the day before the Sabbath, leaving it to simmer all night. 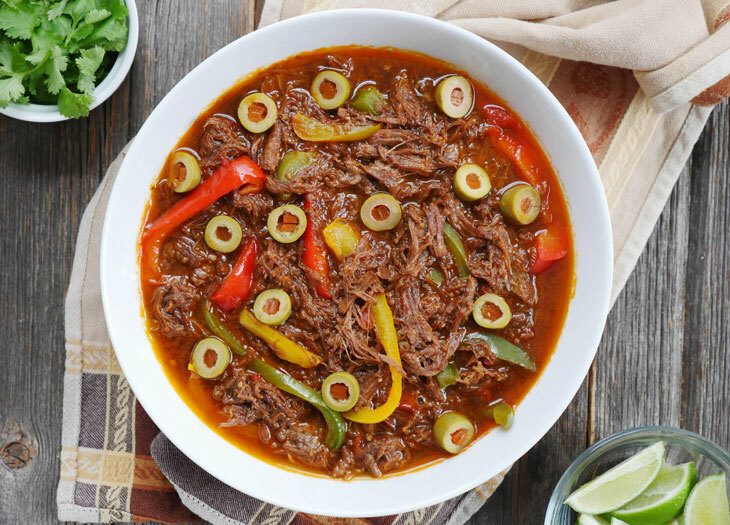 The meat would then be shredded to enrich the texture of the sauce, hence the name of ropa vieja or old clothes. The recipe made its way to the colonies where it was adapted. In Cuba, the plate is particularly colourful: beef (more rarely lamb or pork), a generous sauce made from tomatoes, peppers, onions… served with a portions of black beans, yellow rice, fried plantain bananas and yuca. Quite a feast! You will find it on every single menu of the island. It is, too, Spanish in origin: a reference to the reconquest of the Iberiric peninsula in the 15th century, the noble Spanish army winning over the Moors, white against black, rice cooked with black beans. Add to the pot oregano, bay leaves, black pepper and live and cook up slowly. The recipe used to be enhancied with small small pieces of fried bacon, the rice soaking up the flavour beautifully. This was abandonned under Franco’s dictature, the ingredient being too expensive. Purists, though, swear by it. You might encounter congri too: same recipe, but with red beans. This African soup, made from chilli (aji) and yam evolved through time, infused with a little Spanish (pumpkin, turnip), Amerindian (yuca, corn, sweet potato) and even Chinese (spices) touch. Ethnologist Fernando Ortiz saw in this dish a real symbol of Cuban identity. President Gerardo Machado even announced, in 1930, that every family of the island should share it once a week at least… The tradition only stopped under Franco. Often enriched with cubes of meat, quite thick in texture, it remains a favourite in rural areas. Cuban’s favourite comfort food! Minced meat (beef, usually) is pan fried with green peppers, onions, potatoes… but also capers, raisins, green olives stuffed with pimiento. The dish, left to caramelise slightly, brings out delightful sweet and sour notes. Each family, of course, has its recipe. It is devoured at any time of the day – try it with scrambled or fried eggs for breakfast if you have a chance! 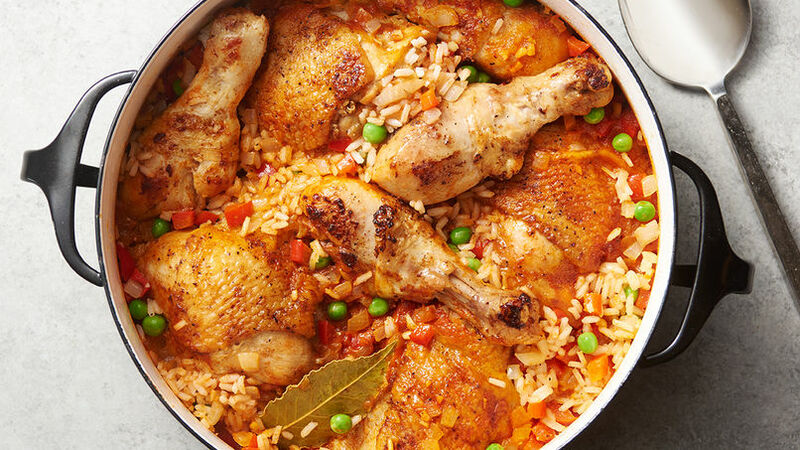 Easy to prepare (everything cooks in the same pot), this “chicken and rice” usually is served at family meals, celebrations and feasts of all kind. The secret is the way the chicken is marinated: olive oil, garlic, lemon and bitter orange juice. Saffron, cumin, laurel leaves will be added as it simmers. It’s the Cuban pilaf rice, in a way. 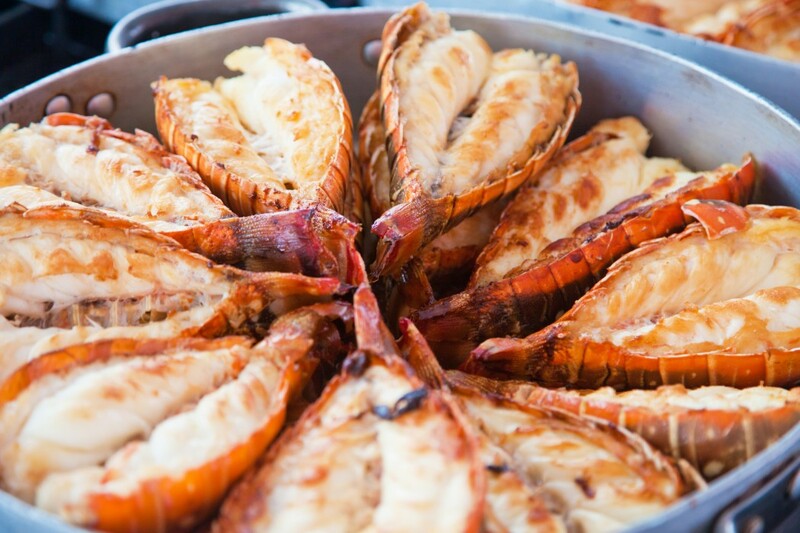 Cuban lobster is known for its juicy, tasty flesh… The price may look affordable to you but it remains a luxury dish to the locals. 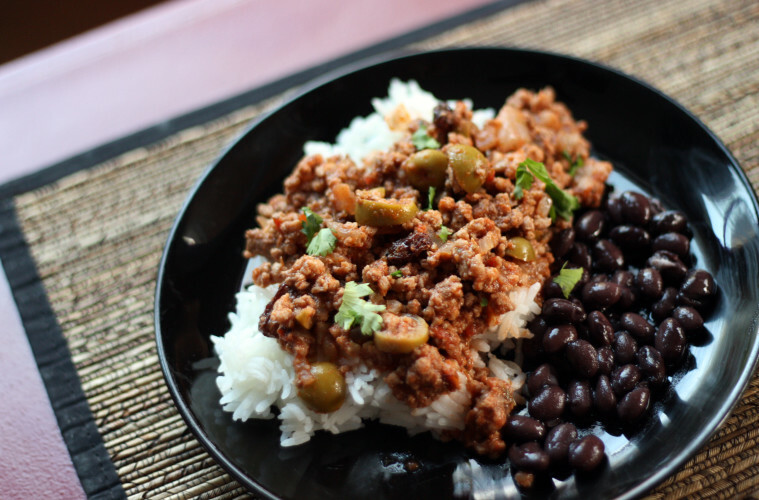 It usually is served with sofrito, a tomato sauce made with garlic, onion, laurel, cumin, sometimes enhanced with chorizo. Or in the most exquisite paella you will even taste… There’s plenty of fish on menus (grilled with with a drizzle of olive oil and lemon juice or cooked in papillote), as well as crab and… shrimps, excellent in a sopa de camarones with potatoes, tomatoes, cloves and cream. These meat balls, made from beef and green pepper, are sure to surprise you… by their size, they are as big as a golf ball! They come served on rice rather than spaghetti. Delicious potato croquettes, rolled in eggs then breadcrumbs and pan fried for the perfect crunch. Usually filled with meat, they’re a great way to make the most of leftovers at home. 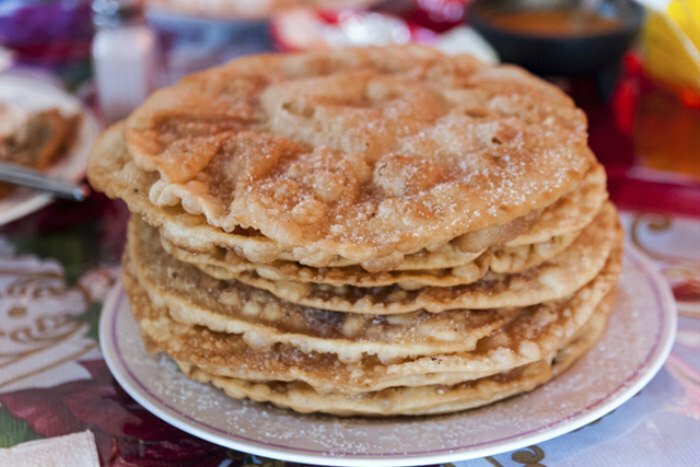 Buy them from bakeries or street vendors: perfect snacks while you’re exploring! Don’t compare these papillotes to their Mexican equivalents. These are made with fresh (not dry) corn, which makes quite a difference to the taste. 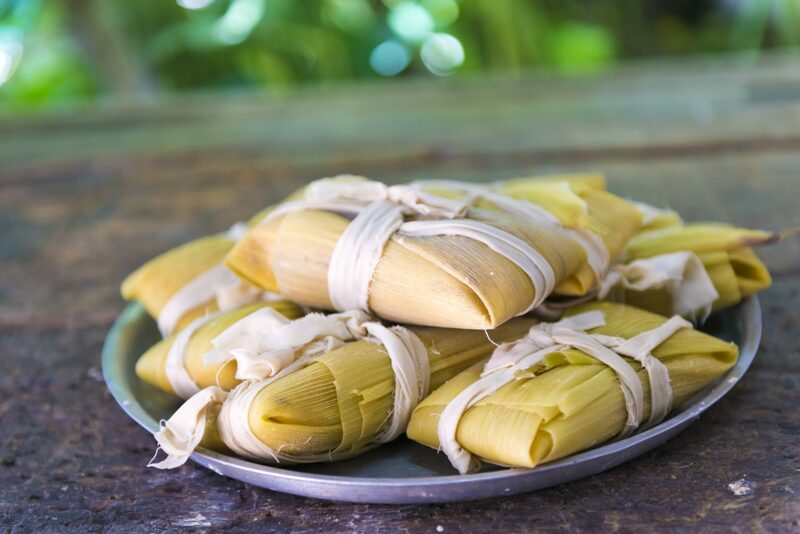 Once grated, the corn is mixed with garlic, onion, pork meat (or lard), wrapped in leaves from the ear and steamed. It’s more filling than you expect! 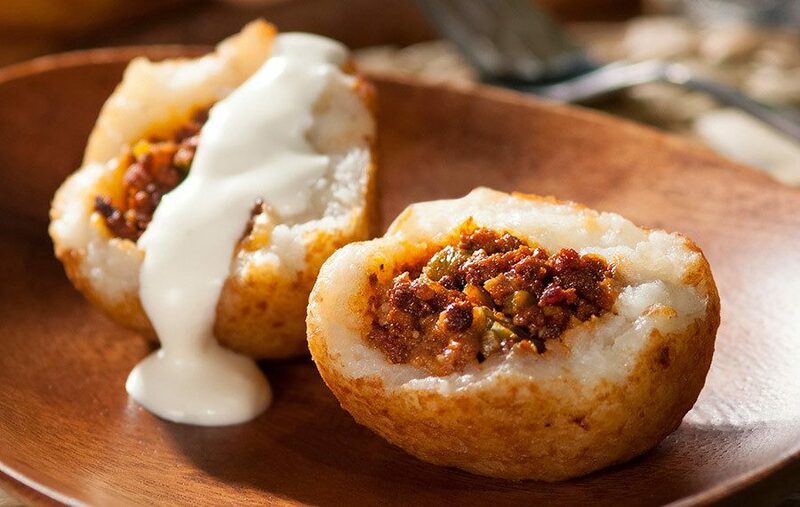 You will find a meatless version, with added sugar in Santiago de Cuba. Restaurants mostly serve fresh fruit, ice-cream and flan. Try bakeries and street vendors to try guava cheesecake, buñuelos (a kind of doughnut made from sweet potato and cassava flour), coconut balls dipped in caramel, rice pudding flavoured with lemon and cinnamon… Even better with a glass of Cuban rum, of course, the best conclusion to any meal!